Wolves ﻿- Something to Howl About! The "Wolf Lady" will share the real story of wolves and their fascinating lives using an energetic slide presentation and the help of her dog assistants Charlie, Lacey, Genie and Kaddi. This program is suitable for all ages and can be fashioned to meet the needs of your group. 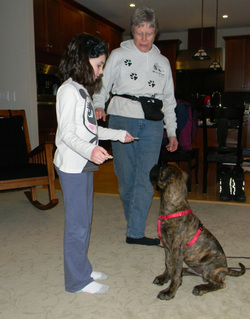 Beth is a lively, knowledgeable presenter and her dogs help to bring the program alive. How we treat our pets is directly correlated with how we treat each other. 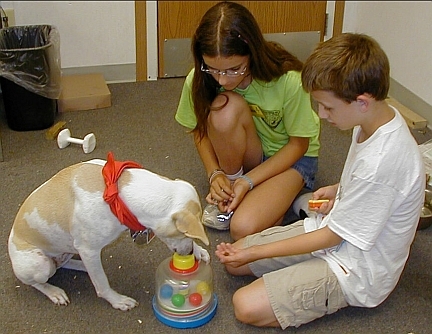 Beth will show the kids how to use the "life skills" that the children have been learning at school to work with their dog companions at home. They will learn that kindness and not force will help them better communicate with their pets and with each other.